Travel to the right donors, at the right time. 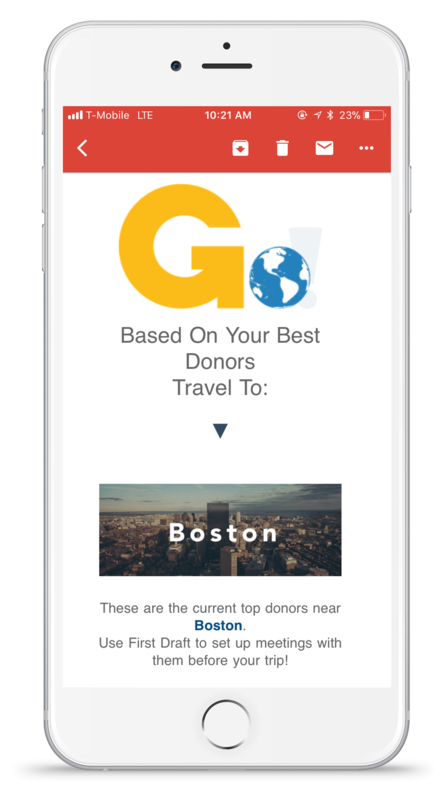 Makes traveling to see your donors more strategic. Algorithmically recommends the best cities and regions to plan your travel. 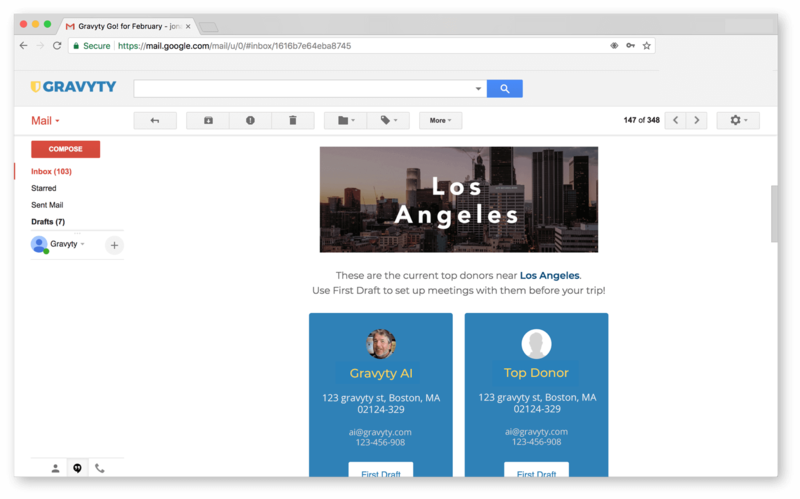 Lists the donors you should secure anchor visits with (and in one click, edit a visit request First Draft!). Coming Soon! Integrations to suggest great meeting places based on donor location and top reviews. How much time do you spend planning and managing travel to see donors? It’s time we traveled smarter, not harder. Gravyty is the missing link for nonprofit fundraising. They help turn your data into donation dollars. Gravyty is the kind of tool I wish I had during the many years I served as a Chief Development Officer.